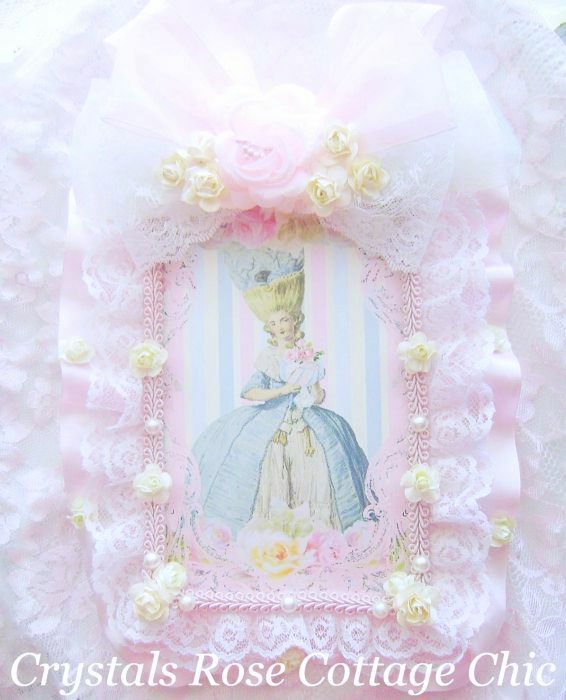 This special,one of a kind journal has been embellished with many, pretty, ivory paper roses, along shabby pink, satin, ruffled trim and pink trim with pearls and doubled lace trim. 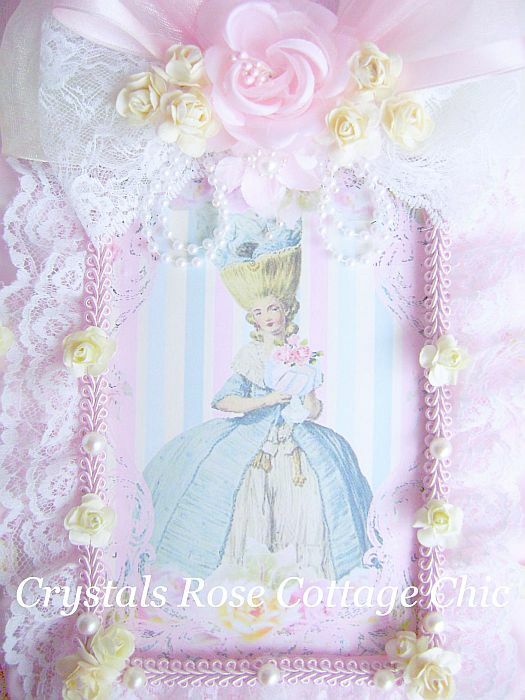 Covering the entire cover of the journal is an exclusive to Crystals Rose Cottage Chic, digital design of Marie Antoinette with wonderful pastel stripes and roses with a pink french scroll frame. 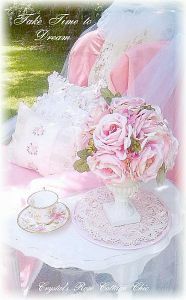 She is wearing a beautiful blue gown and holding a cake stand with a blue and white cake and pink roses on top of it. So gorgeous! 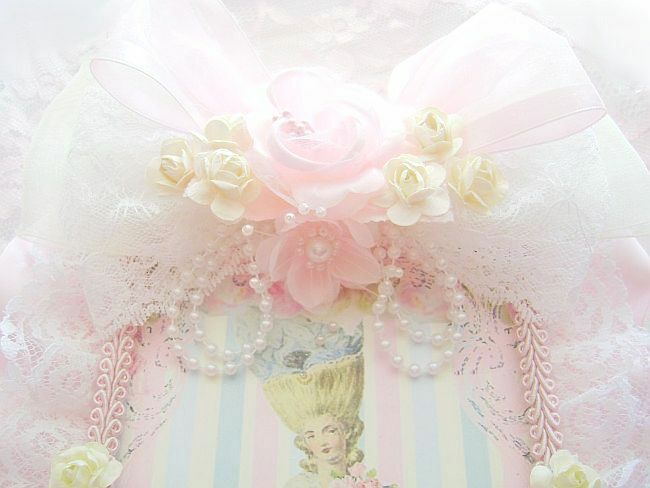 I've topped it off with lots of yummy bows of tulle, organza and lace in complimenting colors of shabby pink, ivory, white and the perfect shade of pastel blue. 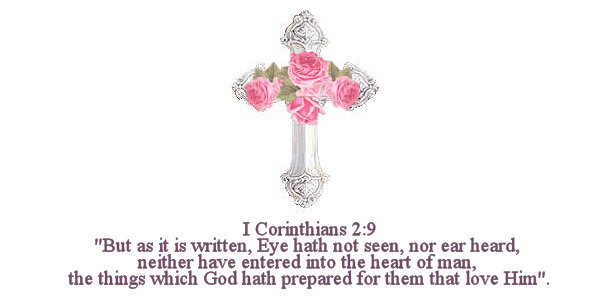 For the crowning touch I've added a single, pink, satin rose with six, ivory, paper roses. 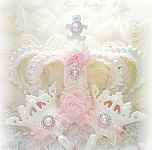 A perfect gift or addition to the Shabby Chic or Frenchy princess decor! Only one available.